5 Days Money Back Guarantee! CNP Integrations and joomlajob.de provides fantastic value components and extensions for Joomla. ZooRadius is 100% Open-Source which means with the joomlajob.de subscription, you get to use it as much as wish without limitations, even after your subscription has ended. 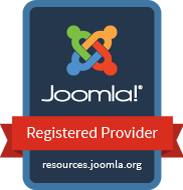 joomlajob.de support is only available to currently registered subscribers.